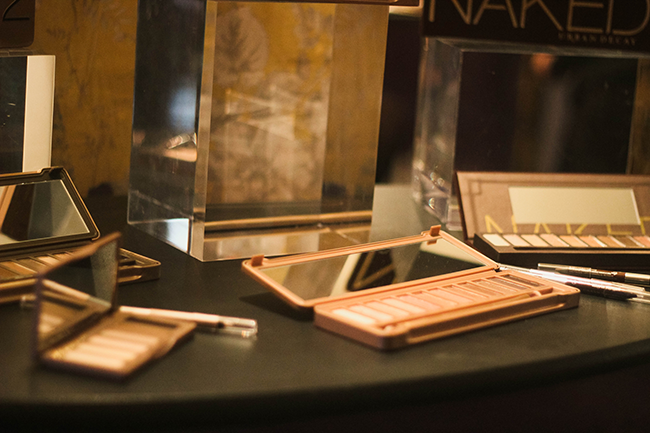 I was lucky enough to be invited to the launch of the Urban Decay Naked 3 launch. It was held in The Lucky Pig, loved the decor and vibe, makes me want a basement. 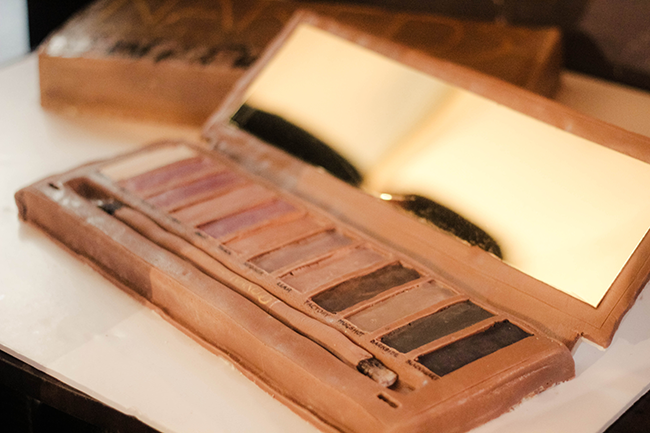 On displays around the venue there was Urban Decay 3 palettes, alongside the Original Urban Decay, Naked 2 and Naked basics. Introducing another double ended eye pencil that had the colour Blackheart & Darkside while two new nail polishes accompany the launch: Zodiac & Blackheart. The Perfect 3Some box above isn't available for purchasing it's only for PR related events, giveaways/contests. 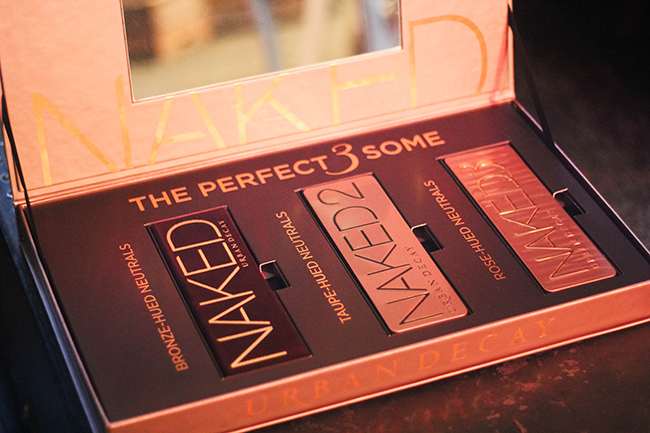 Yet it would be so amazing if it was available, the box is large - believe me. Gorgeous if this was available to unwrap at Christmas. 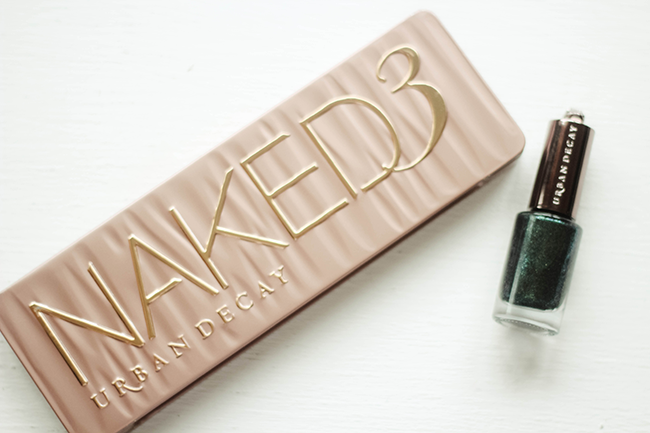 Within my generous goody bag, is the Naked 3 palette, Zodiac nail polish & Naked 24/7 Glide-On Double Ended Eye Pencil - Naked (Whiksy & Zero) I've already got this eye pencil which you can see the swatch here. 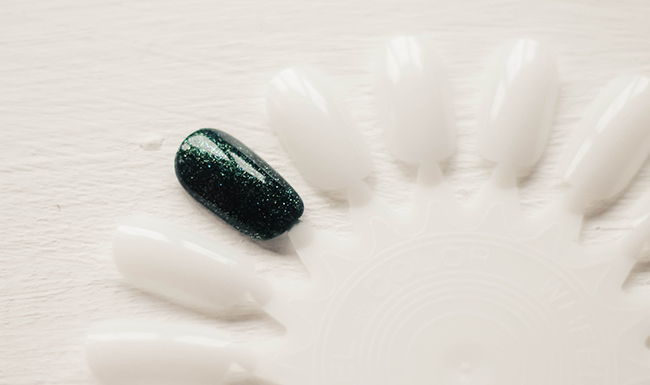 Nail colour "Zodiac" which is a green shimmery shade. Great for this upcoming season, it's a little opaque so there is at least 3 swatches needed to get the full colour. Urban Decay have now decided to include an eyeshadow primer potion sampler of all four formulas original, sin, eden and the new anti-aging. Each sample gives you 1-2 weeks worth of primer all of which are reseable. 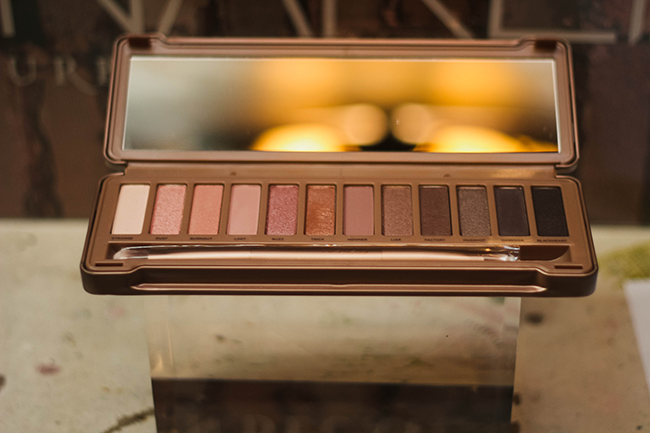 Within the UD N3 you get the new double ended Good Karma shadow & blending brush. There we go, 12 brand new shades. 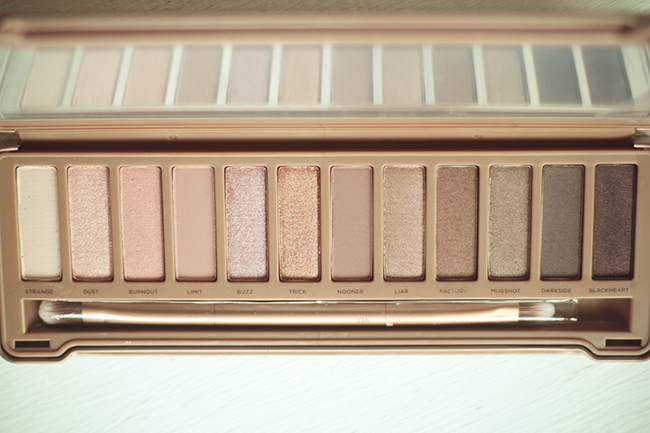 Rosy toned palette, that I think will suit a lot more skin tones maybe not deep skin tones but I know a lot of ladies are adventurous with colour so let's not stick to the first half of the palette :) experiment with this beauty. This item was provided to me for consideration of a review / feature. I have not been compensated or sponsored to write this post, and, as always, all thoughts and opinions expressed are our own. Pretty sexual. love the packaging!